If requested, we have included a menu link to your Faculty Profile. This link will go directly to your Faculty Profile hosted on the Faculty Profile System. If you need to modify the link, follow the steps below. 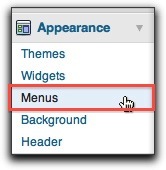 From the Dashboard area of your website, expand the Appearance Menu by clicking on Appearance in the left menu. In the Main Menu area, select the triangle next to Faculty Profile to expand menu item. Replace the URL with the URL to your Faculty Profile page. 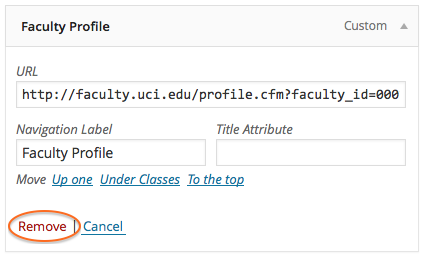 Hint: You can find the URL to your Faculty Profile by going to Faculty Profiles and searching for your name. Click on the link to your name and copy the URL in the Address Bar of your browser. 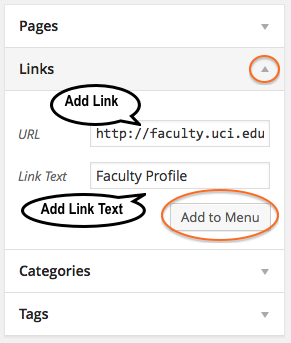 If your website does not include a Faculty Profile Menu link, follow the steps below to add one. Expand the Links panel. 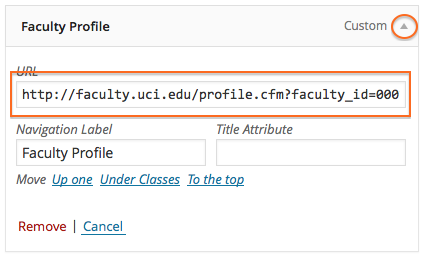 Paste in the URL to your Faculty Profile in the URL field. 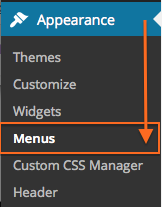 The new Faculty Profile Menu item will appear in your Main Menu.